Been a busy few days around the Commonwealth. Earth Day, a ton of fantastic local events, and the Great American Cleanup. We’ll have some updates and recaps for you in the days to follow. In the meantime, we’re still pumping out the 30 in 30 Grants. 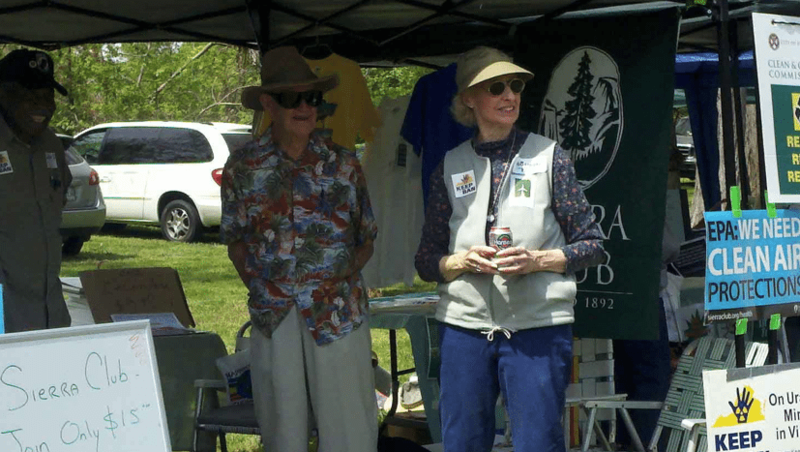 Our most recent winner was The Rappahannock Group Sierra Club. The RGSC has been awarded a $750 grant in the Recycling Category. They are going to promote the favorite Three R’s of Keep Virginia Beautiful, Reduce, Reuse, and Recycle. The RGSC of Fredericksburg has partnered with local nonprofit organizations for 3 consecutive years sponsoring America Recycles Week, around the national America Recycles Day, Nov. 15. Their goals include: encouraging local shopping, using reusable bags and connecting businesses with nonprofits through recycled/donated items. With the grant money, RGSC will educate the public more effectively through signage and advertisements and will create special reusable bags to give away for use at local Farmer’s Markets. Educating the consumers about sustainable practices and choices will not only support local markets & businesses but also local farmers. Increasing the rate of recycling of plastic bags and the use of reusable bags reduces waste and litter and conserves resources. RGSC will create a very visible campaign during America Recycles Week, that will inevitably carry on year round throughout Fredericksburg. We at Keep Virginia Beautiful are proud to be in our second year of our 30 in 30 Grant Program. We are offering 30 individual grants ranging from $500 to $1,000 in three different categories: Beautification and Community Greening, Litter Prevention, and Recycling. We’re fortunate to offer these Grants through the generosity of our partners in the 30 in 30 – Capital One, Waste Management, and Lowe’s.